Rising to the top is a goal that sits in the dreams of every competitor, whether it be their local scene or the stages of the biggest tournaments the world over. And despite the drive to compete and the talent to shine brighter than the competition, not every passionate player is met with victory and fame. This afternoon, international esports organization Team Rival has announced their acquisition of Eric “Mr. E” Weber. Amidst months of disagreement and adjustment, a collective of profound tournament organizers from various Smash Wii U regions have come to a consensus on what they are calling the “2017 Recommended Ruleset”. Learn how last year's Genesis 3 affected Smash Wii U as a whole with contributor Frank "Hangman" DeJohn's latest piece. UGC Events, organizers of the upcoming $40,000 UGC Smash Open tournament, announced that they will be holding four online qualifiers from November 1 - 10 for their aforementioned event. In breaking news, an update on the situation pertaining to Super Smash Bros. Melee player William "Leffen" Hjelte and his permission to enter the United States on a work visa for Team SoloMid has been announced by team founder Andrew "Reginald" Dinh. The time is fast approaching to get excited for one of the most anticipated Super Smash Bros. tournaments of the year. On October 7th - 9th, the sixth iteration of The Big House (TBH) tournament series will take place in Dearborn, Michigan and with it, the continuation of years of storylines. 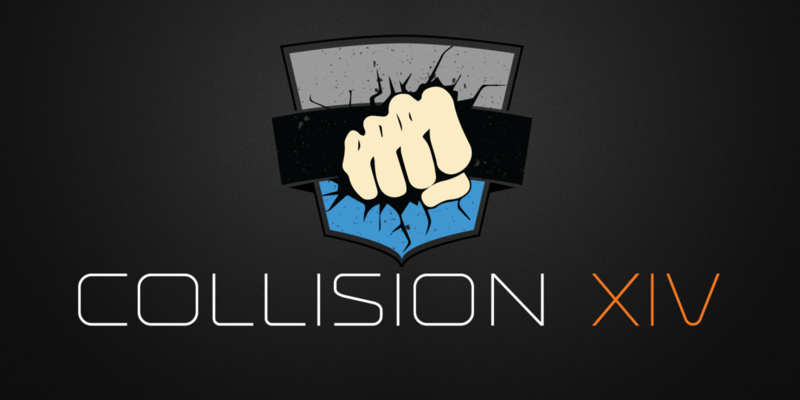 Collision XIV: New Jersey's Heated Tournament Series Continues Feat. Nairo, ZeRo, and More! On Saturday, September 3rd, the SmashLeague Championship Series will be hosting its fourteenth iteration of the Collision series of tournaments in New Jersey! The event had formerly ran alongside the KTAR series of tournaments in New Jersey but with Rich “CLG Keitaro” King moving from the NJ area, the Collision series has picked up the mantle of hosting some of the tri-state region’s finest talent. They will be running both Super Smash Bros. Melee and Super Smash Bros. for WiiU, with plenty of powerful players slated to come and fight for the top. This editorial is in regards to The Big House 6 and how Fendrick "Fendy" Lamar intends to take care of the commentators at the event. What we have in front of us is a sloppy step in the right direction for the future of Super Smash Bros. as a competitive eSport. It has plenty of problems however, and that's more of a matter of logistics and experience that comes from a different set of skills than what has carried the Smash scene forward for years. Most people who follow competitive scenes are aware of the term "upset" and use it frequently when discussing matches or sets. For those who aren’t, an upset is typically defined as one player or team losing to another, deviating from the expected result. An upset can occur for countless reasons, from character match-ups unknown to one of the players, a lack of confidence affecting skill, something unusual occurring in-game, among others. Contrary to the connotations of the word “upset”, it’s not necessarily bad to see these types of results in tournaments, especially at majors. The latest major tournament held in the US, Community Effort Orlando 2016, was home to numerous upsets across various games this year, but for the sake of brevity and relevance, this article will be looking at Super Smash Bros. for Wii U and taking a quick peak at what the various upsets and results of CEO mean for the current Smash 4 metagame. The time has come for universities across the United States to once again prove their Smash mettle in the collegiate crew battle league’s latest season: The Melee Games is now open for team registrations for the Spring 2016 season! Following an exciting semester’s worth of competition during the Fall 2015 season, this season TMG is opting not to have a grand finalist among all regions. Instead, the intention of TMG Spring '16 is to strengthen the league's core by focusing efforts to breed friendly competition between Smash scenes on college campuses in various regions of the U.S.
What Does EVO Mean For Super Smash Bros.? With the suspense concluding, we can lay to rest speculation of which Smash game will return to the EVO main stage, with Melee and Smash 4 both being confirmed to be a part of the main lineup. A repeat from EVO 2015 will be Super Smash Bros. Melee returning to the Sunday main stage for finals and Super Smash Bros. for Wii U having their finals on Saturday. With these games locked in place, we can see the spirited enthusiasm felt throughout both the Smash Bros. and fighting game community. With this year’s lineup for the premiere tournament series revealing a return of two Super Smash Bros. games, it can leave some newcomers and veterans alike asking: what does returning to EVO mean for the Smash community?